Now that we have reached our initial goal of donations to LCIF, any funds collected from this point on will be donated to East Tennessee Lions Charities. It is a 501(c)(3) organization that can help more immedaitely than LCIF can after our initial target goal. The funds collected prior to this ($7,112) will still be donated to LCIF as originally intended. The funds will still be used for helping those in the Gatlinburg area, but will be more immedatiely available to those helping on the ground since we have recieved LCIF's emergency grant. 100% of funds donated will directly benefit those displaced and in need after the Gatlinburg wildfires. We do not take any administration costs from donations, and none of our overhead is paid with charitable funds. If you donate $1, you can be guaranteed that $1 will be fully used to help someone in need after this disaster. 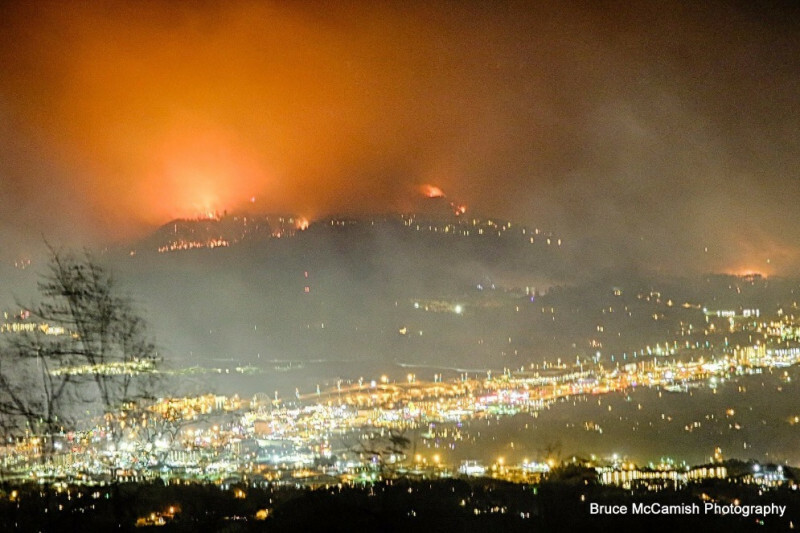 Details: A historic wildfire continues to burn in Gatlinburg, Tennessee, destroying hundreds of homes and businesses and forcing the evacuation of thousands of residents. About 100 homes have been damaged or destroyed by flames from spreading wildfires, state emergency officials said. More than 14,000 people were evacuated from Gatlinburg alone, with hundreds of them seeking refuge in emergency shelters. 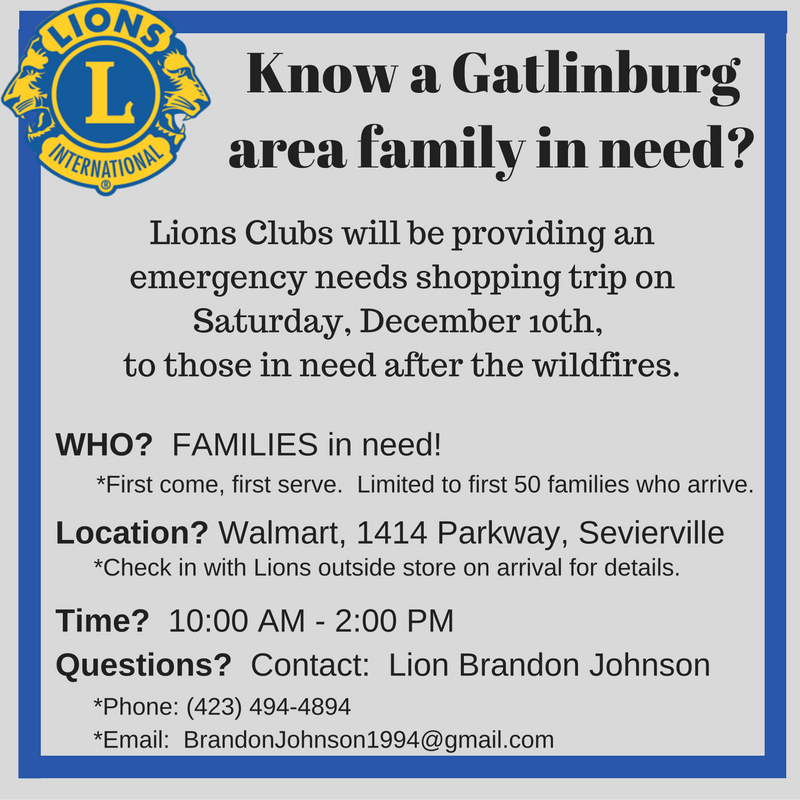 The Lions Clubs of East Tennessee want to help. This is your chance to help those in need. 3. Your relationship to the parties you're raising funds for. -Community Volunteers serving those in need. -Funds will be donated to Lions Clubs International Foundation. 5. The first $7,112 dollars of this fund supported LCIF. Once we recieved the emergency grant from LCIF, we recognized a need for funds in other areas. 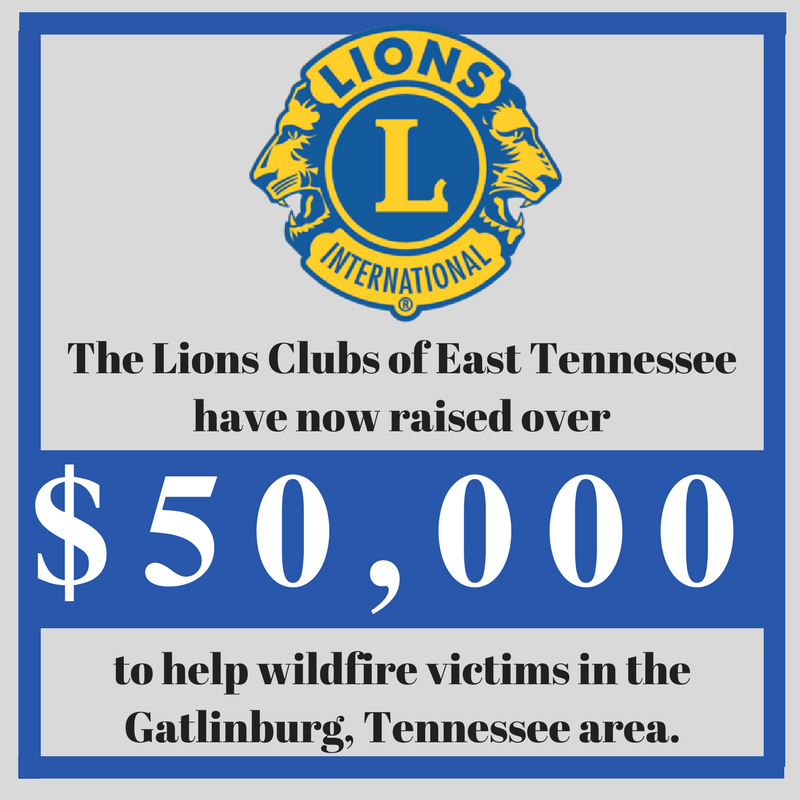 Any amount past the initial $7,112 will be sent to East Tennessee Lions Charities. We did it! We hit our goal of $50,000 thanks to you! Hi, all! You'll notice a HUGE jump in our fundraising efforts on this page. A bunch of people were curious about what our TOTAL number of funds was looking like, so I added in some offline donations from clubs that have sent checks, as well as the $5,000 in relief from District 12-N and the $10,000 emergency grant from LCIF. This new number (over $33,000) better shows how much money has been pledged from different sources in one easy to understand way. Let me know if you have any questions, and thank you for your constant support! This Saturday we'll be helping more people in need! Spread the word! Because of your generosity, we helped 50 families in need yesterday. We plan to keeping helping more.